An intergenerational audience settle themselves at the café tables as we are all invited to watch Episode three of Rhondda’s very own live soap opera. “The Fourth Wall Café” is open, as part time waitress Seren catches up with café owner Alex protesting that she has not been paid for the last fortnight, she has her own concerns, she cannot continue working, she has the promise of another job. Alex strains to find an answer as Seren storms out of the café unrequited. A man in a dark suit struts into the café, he look intently at all the café’s fixtures and fittings; Alex appears nervous, as the man queries if Alex is Ok. There is an air of irritability as the man demands that Alex pays the money owed to him by the next day. He repeats the amount he is owed at the percentage of interest it has gained. Dan absently picks up a bunch of drinking straws from the bar, and deliberately drops them individually onto the café floor as he repeats the amount, the interest and the time they will meet. “Got the message?” he states as he leaves. Alex replies that they have done business before. Sion opens and reads from his iPad, he confronts Alex. “Alex I have access to your accounts, stock and everything else. Why is your expenditure more than your income?” Alex tries to explain about new ideas, new brands but Sion is firm in his knowledge. “There is a large amount of withdrawals. Are you in trouble Alex? What have you been doing, drugs?” Alex shakes his head. Alex is in denial as Sion, realising the situation, offers Alex the chance of clearing his debt; he will transfer the money owned into the café account. “We can help each other out, I’ll scratch your back, if ……I think Megan will listen to someone who loves her”, as he outlines his plan. His son Ioan has gone off the rails and Sion needs Megan to talk to Ioan. “I don’t want her to say anything about the past, the Past IS the Past” he warns. “Talk to Megan and your debt will be paid off”. Alex remains at odds with the plan but can think of no other way out of his dilemma “OK yes” as Sion sets the transfer in motion via his iPad “Job done” he states as Alex shakes hands reluctantly with Sion. Liam strolls into the café as Alex storms for him to use the side entrance to access the flat. Sion asks Liam how his job search is going, Liam can only answer negatively. Sion hits on an idea that Alex needs help with the café, and Liam is looking for work. Alex is astounded “I KNOW where you’re going, this is not happening. We had a deal!” he protests. “I’ll pay his wages” Sion answers. Alex can find no answers as he fires questions like bullets at Liam. Alex offers Liam a temporary job, although the situation only feels like more salt is being rubbed into the open wound that is a nightmare of his own making. Megan enters the café with Cerys; the mother of Seren, looking for Seren, Alex can only offer the excuse that Seren is out shopping. “I’ll have a gin and tonic” Cerys repeats several times, as Megan demands from Alex what he and Sion were talking about, as Alex explains that all Sion wants is for Megan to start speaking to Ioan. Cerys moves erratically around the café “There’s a stage here, I used to be an actress” she informs Megan as she is negotiated back to her café table repeatedly requesting a gin and tonic. Sion reminisces about seeing Ioan on his first day at school and how he was dressed, how he has grown into a young man. “Looking for mermaids ….” Megan remembers other things too “THEN you needed a drink … Don’t touch it!” she storms at Sion, as she retrieves the bottle and places it in the dustbin. “What happened?” is Ioan’s response. “He drank, drink made him bad, he was bad to me. Speak to Sion” is all Megan can offer. Seren enters the café, she attempts to comfort Ioan as he leaves, but he shuns her. Megan is worried about Cerys “I saw your Mam in the street, I thought I’d bring her here” as Seren explains that she wants to see Alex about her unpaid wages. Megan can only agree to help her sort out the problem. “I’ve got an audition later today” Ieuan explains as Seren tries to gain Alex’s attention, he in turn asks her for two minutes. Ieuan, as Bottom from Shakespeare’s”A Midsummer’s Night Dream” continues his speech. “Everything is getting sorted” Alex digs himself further into the hole of his own making. “Don’t ask!” Ieuan warns his niece as she is about to ask about his donkey ears, as Abbie informs Ieuan that she has talked with her parents and there are no more problems with their marriage, as they both leave the café. Alex hits his head against the bar grill as Liam enters from the cellar and picks up various items from the tables. “GET OUT!!! Just get out” Alex storms as Liam is bustled out. Alex cries out, as in his waterfall of life becomes a torrent of anguish and despair. The truth comes out like oil on water. As individuals, we are all unique there can be so many secrets deeply hidden; we can never walk in another’s shoes to realise just what they are going through. Drink Wise, Age well as the Christmas Season approaches. Let’s celebrate enjoy, be wise, drink aware, and take care. 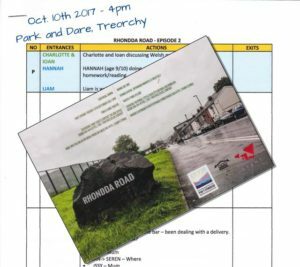 “Rhondda Road” Treorchy’s very own LIVE soap opera continued with Avant Cymru Theatre actors and its Director Shane Anderson, when its second live episode was presented on Tuesday, 10 October in the lounge of the Park and Dare Theatre. An accident had certainly occurred since the inaugural episode, as one character proceeded to act out the whole performance on crutches. Such injuries happen in real life, and the wisdom of saying ‘break a leg’ should be given with a health warning! A door slams as owner Megan rushes in with her daughter Isabelle close behind her. “I’ve had enough!” Megan exclaims. “LISTEN TO ME!” Isabelle cries out blatantly. Seren, the part time waitress is busily attending to the tables, she asks a young girl sitting alone whether she would like a drink. Liam remains at one table, both Seren and Megan look on curiously wondering just what Liam is doing there. Ioan and Charlotte sit on another side of the café contemplating a school project. Ioan only has eyes for Seren, as he implores Charlotte to give him information about Seren. “She doesn’t fancy YOU!” Charlotte is adamant, as Ioan continues his line of enquiry until Charlotte replies conspiratorially “What I was told was confidential” Ioan is intrigued. Charlotte informs him that Seren is always late for school or work due to her ailing Mother, who has a ‘condition’; “Dementia” she concludes, “but I hope that won’t make any difference.” Ioan goes to the Bar to ask Seren for an order of drinks; he nervously exchanges opinions on the Project they are both undertaking, and then asks Seren how her Mother is. This leaves Seren in turmoil as she provides a drink for the young girl and then delivers their order to Charlotte. “You told him!” Seren accuses Charlotte. “Can I have a straw?” Charlotte asks. Megan can only berate Alex for not being at the Meeting with Isabelle which has resulted in the case being taken to court. Alex explains that he was at the Drs, and apologises to a distraught Megan, attempting to change the subject he offers a consolation; he has visited a jewellery shop. “What? The one with the gold rose ring and the special diamond cluster? You shouldn’t have told me, it’s supposed to be a surprise!” Megan admonishes and embraces him at the same time. “You’re not going I remember the last time!” Megan defuses the situation as the two men protest their innocence. “The dress didn’t fit properly” Ieuan remonstrates, as he and Alex hum the Star Wars theme tune using the crutches as air guitars. “What’s he doing here?” Ieuan recognises Liam. “He’s meeting me!” Sion explains as he strides proudly into the café. His estranged daughter Megan asks him to go. “DAD?” Megan’s emotions threaten to overwhelm her, as she realises that her father is also Ioan’s father. “Always keeping secrets” Megan states as Sion asks for the keys to the upstairs flat. “You manage the café, I own the building” he proclaims with a gleam in his eye that is enough to unsettle any respectable lady in the neighbourhood. Alex hesitates knowing that Isabelle is upstairs; he issues the command ‘You’ll follow me”. Ieuan warns Megan about Liam, “Promise me you won’t trust him” as Megan follows Sion upstairs. Abbie questions her Uncle whether her Mother stayed overnight, Ieuan tries to explain that sometimes when you are married, things get difficult, that her Mam and Dad are going through a bad patch; he tries to reassure her that there will always be a place for her to stay with him. Ieuan hits out at the café furniture in frustration, then seeing Liam, singing with some satisfaction, on his way out of the cafe he storms “I’ve lost my family, my friends all because of you. I’ve lost all of my money to keep you. Would you do the same for me? WOULD YOU?” Ieuan cries out in anguish to a disappearing Liam. “Don’t ask me that now, I haven’t got any … “ Alex explains that he is under terrible pressure, that the present situation is doing his head in. Ieuan outlines his position: he has no job; he has to look for employment elsewhere, perhaps go to London. Alex states truthfully that he owes a lot of money, as Ieuan realises that his friend is gambling again and owes £5000. “I thought this was MY time” Alex explains. “TELL Megan or I WILL” Ieuan states as he notices Anna sitting in the corner and discovers that she has been left there by her Mam. Anna hands over a note to Ieuan who, on reading it, rushes out of the café after handing the note to Alex. Meeting with Isabelle Alex explains that Megan has told him everything; he also queries Isabelle about Anna’s family life. “Her Mam is just like my Mam” Isabelle answers as Megan and Sion exchange explosive words as they come downstairs to the café. “It’s all we’ve ever wanted ….”Alex states as he shows the note to Megan; a shocked Ieuan returns “Where’s Eleri?” Megan demands, Ieuan motions that Eleri is outside. “Are you OK? You’ve done really well bringing her back, that’s really good” Alex reassures Ieuan, as a distressed and tormented Eleri shrivels up into the welcoming arms of Megan. “It’s too hard, I can’t take it anymore. What have I done?” is all Eleri can manage to say as she is reunited with her daughter, as Ieuan leads her and Anna out of the café. “Let’s go home” Megan gathers Alex and Isabelle close to her “We’ve got to get things sorted first. 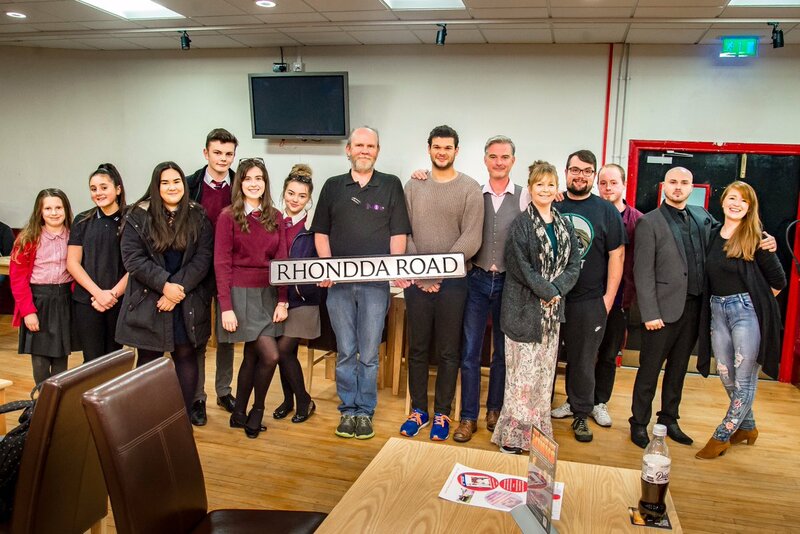 That is how Episode 2 of Rhondda’s very own soap opera “Rhondda Road” ended. As in life, there are things that we do not tell each other; secrets that run too deep. Exceptional that in the week of World Mental Health awareness this topic was incorporated into the storyline. Life, participant or spectator, involvement is the difference. You can catch up with episodes one and two below. Rhondda Road is Avant’s very own live soap, where our community influence the topics covered in this improvised drama. It takes place every month in the Park & Dare Theatre. 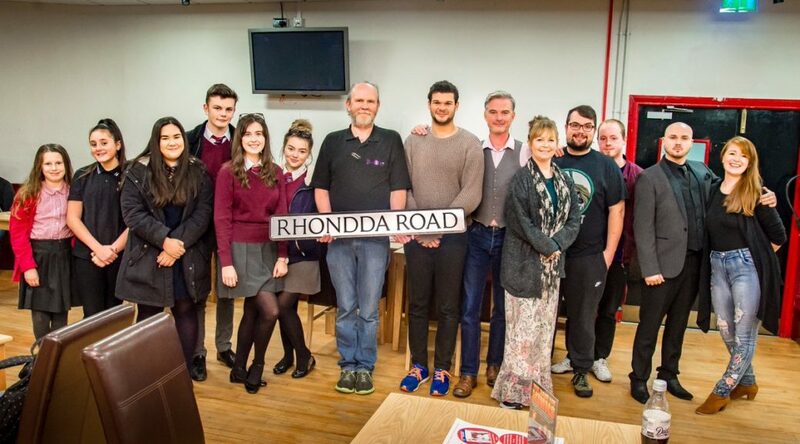 Included in the cast are community cast members, some of who attend Rhondda based schools. So what do you think about soap opera in the Rhondda? Would it be full of soap adverts with an aria from a male voice choir entwined? Would it be in black and white or colour? This was no soap opera, this was diverse, this was real, raw and blisteringly true to present day issues! “Rhondda Road” – was Treorchy’s very own LIVE soap opera safely in the hands of the Avant Cymru Theatre actors and its Director Shane Anderson, when its first live inaugural episode was presented on Tuesday, 12 September in the lounge of the Park and Dare Theatre. As you entered “The Fourth Wall Café” you were invited to take your place at a café table, the owner hovered around clearing each table. Balloons decorated areas and a greetings banner was in the process of being aligned to the wall. We realised that a Birthday was being celebrated and realised that we were all invited. This was different. The people began to talk – this was not eavesdropping, we were not busy bodies, we were there and their lives and emotions were being unravelled before our very eyes. It was interestingly engrossing to actually know what was going on, without being classed as ‘nosey parkers’. Alex and Megan, partners in real life, run the café with their friend Ieuan. This day was the 13th birthday of Isabelle, Megan’s daughter. 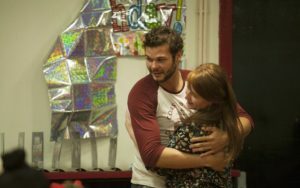 Alex, who has been attempting to build a relationship with Isabelle, has organised a surprise party for her, drafting in Ieuan, Seren, a part time waitress and young carer, and Charlotte, Megan’s half-sister to help with the preparations. Charlotte has already informed Megan that Isabelle is not coming, that there is something wrong, but won’t divulge any reasons. Abi, Isabelle’s best friend and Ieuan’s niece, has been given the duty of getting Isabelle to the café on time. Seren arrives late, having attended to her ailing Mother, she quickly attends tables placing cakes, serviettes and streamers on each one. Alex’s emotions swing, as he exclaims that his offer for the café has been accepted. “It’s all we’ve ever wanted” he exclaims as he and Megan lovingly embrace; in his dreams they will marry and he will adopt Isabelle as his own daughter. Charlotte walks out in a huff as she witnesses their attentiveness. Life is a rich tapestry and as such, other strands gel into the mixture. 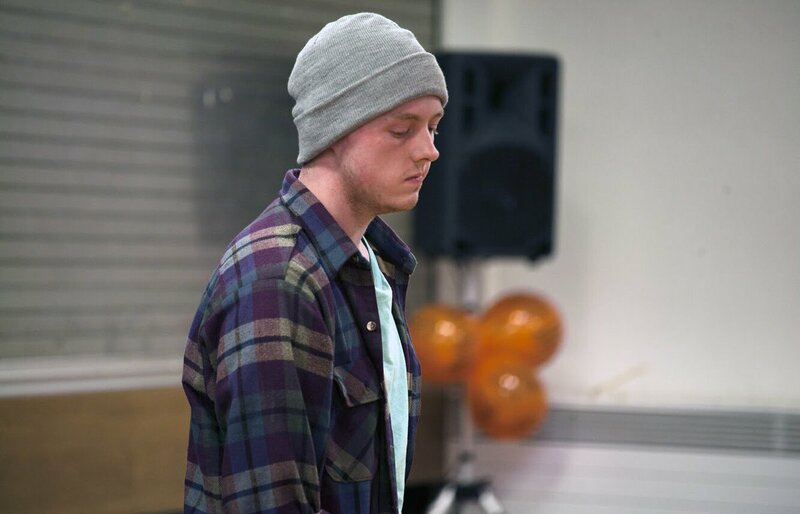 Ieuan is a struggling actor and is often seen using the café premises to prepare for auditions and devising ideas to attract people to the café. You suddenly hear a booming voice from behind you, and you literally jump out of your skin. ‘I am your Father’ is directed at the occupants of the café, as we watch Ieuan appear in all his ‘Star Wars’ attire, plus a bucket on his head. His announcement is almost prophetic. Abi rushes into the café, Isabelle is not with her, and there are concerns that all is not as it should be as we await the arrival of the Birthday girl. 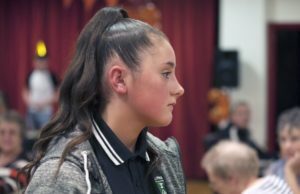 Abi confides in her Uncle that Isabelle won’t talk to her anymore, whilst Ieuan quietly tells her to be there for Isabelle whatever is wrong. Isabelle enters, as the streamers are popped, and Happy Birthday Greetings resound, but this girl is not in a celebration mood; she is distressed and unhappy and can take nothing in. In a quiet corner, Megan manages to prize the problem out of her, Isabelle is being bullied. The couple have to decide what course of action they will take next. Ieuan has his own concerns as he prepares to cut the birthday cake. Liam, his homeless friend from Uni. arrives. Liam has stayed with Ieuan for what was only going to be a few weeks but has ended up staying for months. Ieuan instructs Abi to go home, he has run out of patience, there is a clash of opinions; enough is enough as Ieuan asks Liam to find other accommodation. An older man walks into the café, looks around, senses the nervy atmosphere and sees the desolate Liam berating his own life, and offers him some consolation as they walk out together. Seren, in the meantime, has her own problems; time is precious to her, her part time job and her caring responsibilities. Sometimes it proves too much, especially when she sees other girls her age not having the daily worries that she has to tend to. Life is further complicated by the attentions of love sick Ioan, who follows her around pausing for every word she speaks, whereas it is Charlotte who wishes to be by Ioan’s side. The older man returns to the café, but this time his demeanour is not so serene and helpful. It is soon apparent that he is Megan’s Father, Sion. Megan, so strong and resilient, visibly shrinks under his stoic glare; remembering the damage he had inflicted on her during a traumatic childhood. Tempers flare and Megan attempts to guard her daughter from his grasp. Sion states that he has changed, he wants to be part of a family again, to get to know his granddaughter, but Megan stalwartly insists that this will never happen and leaves Alex and Sion alone. That is how episode one ended. 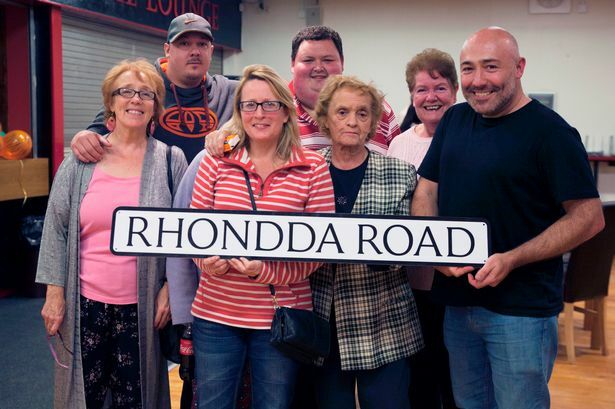 “Rhondda Road” showed life as it is wherever you happen to live, its concept and format is different and entertaining. You feel the emotions of the people performing, and in the final minutes, we saw such a difference in the character of Sion Andrews with his hurtful threats, that you almost wanted to cry ‘Boo! Hiss!” at the villain, connecting in every way. It’s not black and white, it’s not colour, its Life and it’s RAW. It brings a format and a way of storytelling (or soap opera in this case) alive. The Director of Get the Chance Guy O’Donnell recently got the chance to chat to Rachel Pedley-Miller, founding director of Avant Cymru. 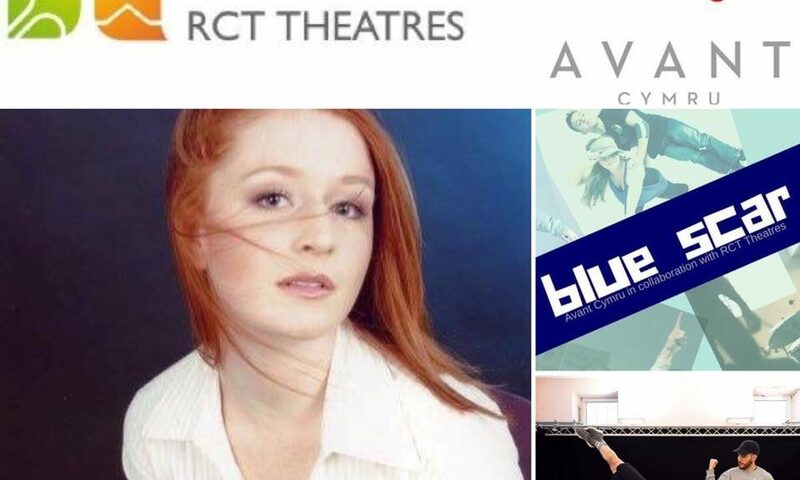 Rachel discussed her career to date, Blue Scar Avants latest work in development, the support she has received from Angela Gould/RCT Theatres and the importance of working with local communities in all aspects of her professional practice. I started dancing aged 2, my Mam had learned to dance in the Ponty YMCA with Pat and Heather Rees and she wanted me to learn to dance as well. I loved every dance class and by my teens I was training 6 days a week in various styles and had started drama and music lessons. There were also various community arts opportunities I could join in with to keep developing my understanding. I had amazing teachers who trained me to teach, which meant I could afford to do extra classes, through gaining work at the dance studios. I was really lucky to start training under Maggie Patterson through the Pineapple Performing Arts Troup. Maggie created opportunities for me and the rest of our crew to gain professional work opportunities while training, we danced for TV, Film, theatre and live events. It was here that I started training with Jimmy Williams (lockin’ dancer) and Kate Prince (of Zoonation) who started my introduction to Hip Hop Dance. It was great to grow up in the dance community, it taught me the importance of sharing experiences, giving back and that you can always continue to learn, not only because there so are many dance styles to learn, but also because these styles have come from diverse communities and learning about the history behind the techniques is just as important as performing the moves themselves. You are one of the directors of AVANT Cymru and support a lots go great community arts activity in the Valleys, could you tell us more about this work? During the school holidays I spent a lot of time with my grandparents. My grandfather is very community minded, he was part of ‘Cor Meibion Male Voice Choir’ (who sing at community events all over Wales and beyond, including the Principality Stadium before internationals!) He also looked after the community, shopping for the elderly and doing carpentry work for others as favours to friends. His community ethics have played an important part in my desire to come home to the Rhondda. It has created a desire to make work with a community who create opportunities for themselves and who love to celebrate culture. 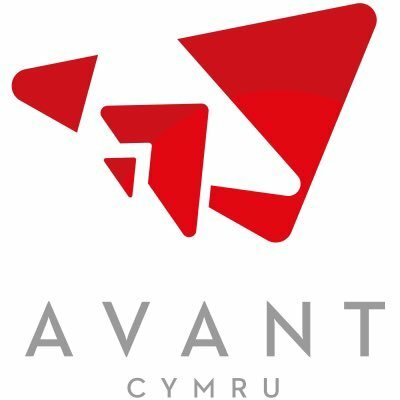 Avant was founded at the end of 2014 when I had moved back home to the Rhondda and had started to go to networking opportunities around Wales. At these networking meetings (such as NTW TEAM workout, Ponty’ Arts meetings, Sherman JMK training opportunities, Equity Branch meeting, What’s Next Valleys meetings to name a few) I met likeminded artists such as Alan and Darius (co-directors) who wanted to create high quality, relevant and imaginative work. Our work includes ‘Over By Here’, ‘Killer Cells’ and now ‘Blue Scar’. In all Avant’s work we create opportunities for either our students from our weekly classes or for the community to shape the shows. We firmly believe in going out into the community to hear what is relevant and working with the community to develop art that is wanted and needed. Even though we are theatre makers, this means that we have also collaborated with other art styles. 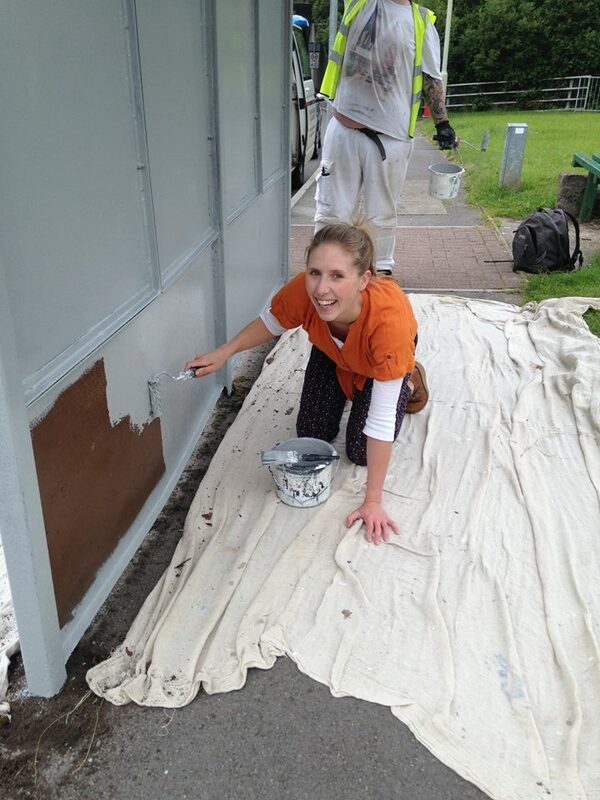 For example visual artists such as Claire Louise Prosser, on projects such as the Bus Stops in Tonyrefail. When researching for Over By Here we found out that the public wanted the beaten up bus stops to be more colourful, Claire came on board and led project Bus Stops which led to one teenager commenting “Thank you for doing this, the bus stops show that people care and it makes me feel safer in town”. We are also about to undertake a film project with Gary Lewis called ‘Land of Our Fathers’ for the Age Cymru Gwanwyn Festival. We have chosen the media of film as the residents of the care home we will be working with may not be able to access live performances, by creating a film this can be played back to them in their care situation. 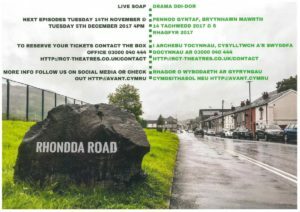 Avant are a forward thinking theatre company who have plans to create versatile work in the Rhondda and perform this work locally, nationally and internationally, to celebrate the Rhondda and its people in all sorts of creative ways. 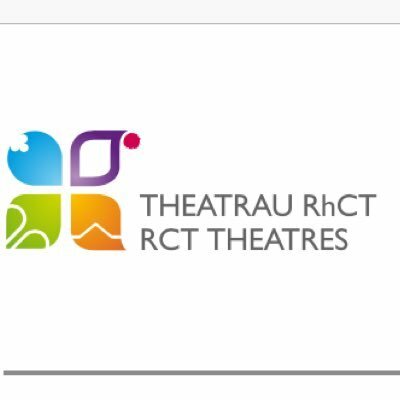 We are really excited to be working with RCT Theatres on a number of these projects. 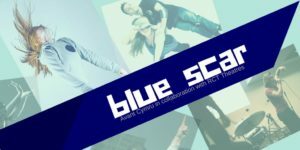 More recently you have been working towards a sharing of a production called Blue Scar, I believe this production involves Urban Art Forms is that correct? Blue Scar is a Hip Hop inspired project. We were asked to research and develop a hip hop dance project with RCT Theatres and Creu Cymru’s welsh dance consortium. Our first plan of action was to speak to the community. We were inspired by the history of ‘Lockin’, which was created by young people at the end of the 1970’s early 1980’s watching cartoons such as the Loony Toons and recreating the actions that the cartoon characters performed. The style of dance is very animated with big facial expressions and poses. So we wanted to know what young people in the late 1970s/early 80’s were doing in the Rhondda to make Welsh hip hop. We visited audiences at the Park and Dare and Coliseum before the Pantomime, we went to the local libraries and we spoke to people on Rhondda Facebook groups. The answer that came back was that the children liked to play up the mountain, occasionally some of these games resulted in cuts and bruises and because of the coal dust they often resulted in blue scars. Blue scars became a point of discussion, miners had them from their work down the mines, but they were also a mark of the area. People spoke proudly of the time they earned their blue scar, from falling off their Gambo (go cart) or from playing kiss chase on the tip. These stories became our inspiration. 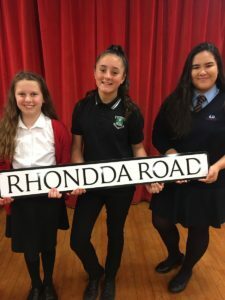 We then set out to speak to students in our regular classes and at Treorchy Comp who hadn’t heard of blue scars and wanted to help us make the show relevant to their generation. So as part of the R&D we worked with the young people and involved them to lead the narrative, asking them how they share stories at home. Niamh performed with us on the night of the R&D, her character learns of how her mother gained her blue scar playing up the mountains. Niamh’s grandmother came to watch the show, which prompted her to tell Niamh tales from when she was young, and how she too used to play up the mountain. Blue Scar, shaped by the community became a cross generational project because of the narrative, which made it vital for us to work with the right artists. To really create a Welsh hip hop piece we wanted to blend traditional welsh music and dance with hip hop styles. We did a call out for artists and we began to develop ideas. James Humphreys created a script based on the comments from the community, Gary Lewis created a film showcasing Avant’s students participation. 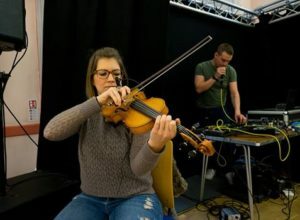 Dean Yhnell from BeatTechnique got in contact; he had previously worked with musician Angharad Jenkins on the 10 minute musical project produced by Leeway Productions. They were keen to work together again, working with Darius they created the tracks and Bethan England came in to sing. Tommy Boost, Ahmed Zada and myself were able to bring three different hip hop techniques breakin, lockin and poppin and then we were lucky to bring in BBoy Slammo and Patrick Thomas. 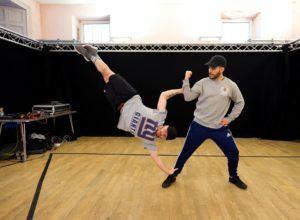 BBoy Slammo has been teaching breakin in the Rhondda for over a decade and Patrick is a member of his crew, having these two bboys on board has been vital to showcase the legacy of hip hops dance community that already exists in the Rhondda. Bboy Slammo is an internationally known breaker who is one of the founding organiser for Breakin’ the Bay at the WMC. The whole team were able to bring different elements to the project and inspired by the communities ideas we got to work, creating a Welsh hip hop dance piece. Angela Gould, (Theatre Programme and Audience Development Manager RCT) and the RCT Theatres staff have been strong supporters of your career, why is the support of someone like Angela important? Angela Gould has created the #CreativeHub at the Park and Dare, which is creative space for companies to produce new work. The Park and Dare staff are the most amazing team an artist could wish for. The tech team provide staging and tech, they bend over backwards to make sure we have everything required to provide the best audience experience possible. The venue team are amazing, Tom helps to get in place translations and timetables so everything is accessible and the team help produce programmes and marketing so we can facilitate the community outreach. Angela is incredible, she is there from the start to discuss ideas, then bends over backwards to mentor and challenge us. She takes the time to listen to audiences and know our community, we are so grateful to Angela and RCT theatres for their support. We firmly believe in collaboration and the #CreativeHub has been an amazing place for Avant to grow and develop. 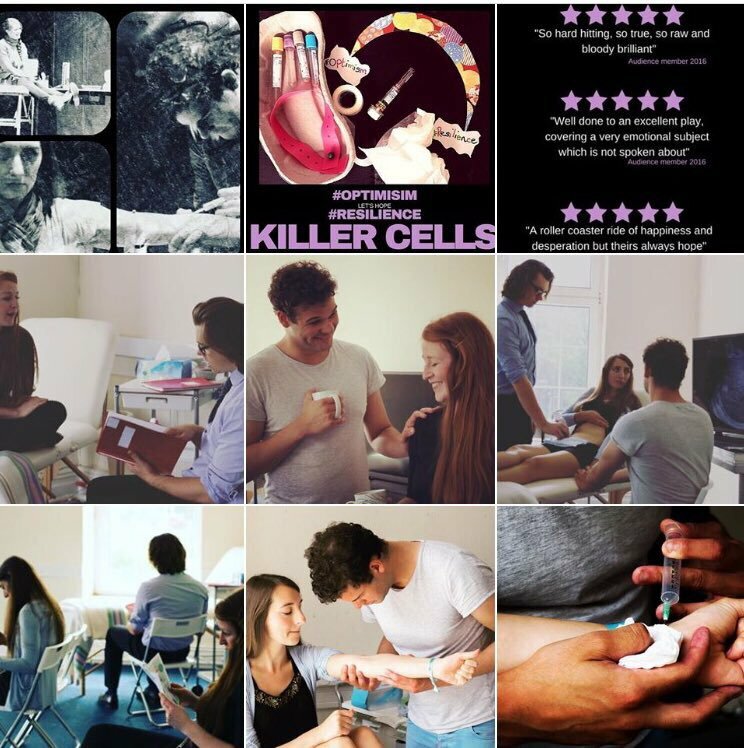 We are looking forward to producing Killer Cells over the summer and developing Blue Scar into a production for next year together with RCT Theatres. We love to invite Get the Chance to all stages of our work, we are aware of the fantastic work they are doing promoting theatre and culture in Wales, demonstrating that there is a variety of cultural experience that appeals to diverse audiences. We know the reviewers have the opportunity to see a range of work and are informed on current theatre practices, so their reviews help shape future developments. For example Get the Chance critic Gemma Treharne-Foose came to watch the small production of Killer Cells, we had been working on the characters and story and her feedback confirmed to us that the digital aspect needed investment. So for the 2017 tour we have acted on this feedback and we are investing in the digital aspect of the story. We have found that fear is a barrier for new audiences because the unknown can make people anxious. 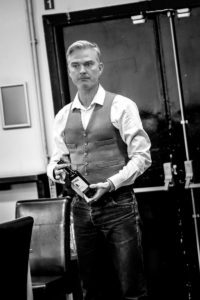 By inviting Get the Chance in the stages of development and by sharing our ideas and plans we are able to inform new audiences, so they are guided and have an idea of what to expect when they attend a show. 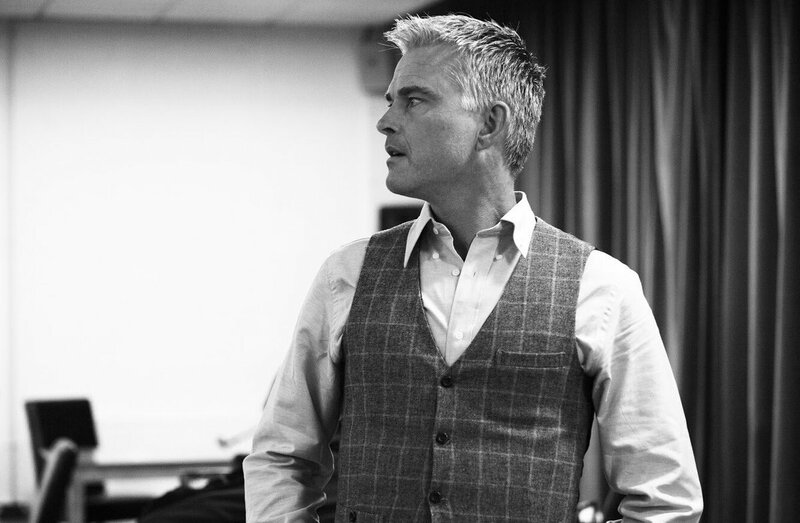 Get the Chance is breaking down these fears and bringing new audiences to the theatre. Many thanks Rachel. If you were able to fund an area of the arts in Wales what would this be and why? This is a difficult question as I would like to see more spending in the arts all over, I believe arts and participation is good for health, wellbeing education and regeneration. I would like to see more funding going into buildings such as the Park and Dare. They have already started work on improving the building, which includes new carpets, paint in the foyer and the lift is being rebuilt, however further funding is still needed to help complete the other jobs the team have planned. I’d love to see money put into a collaborative CPD programme. 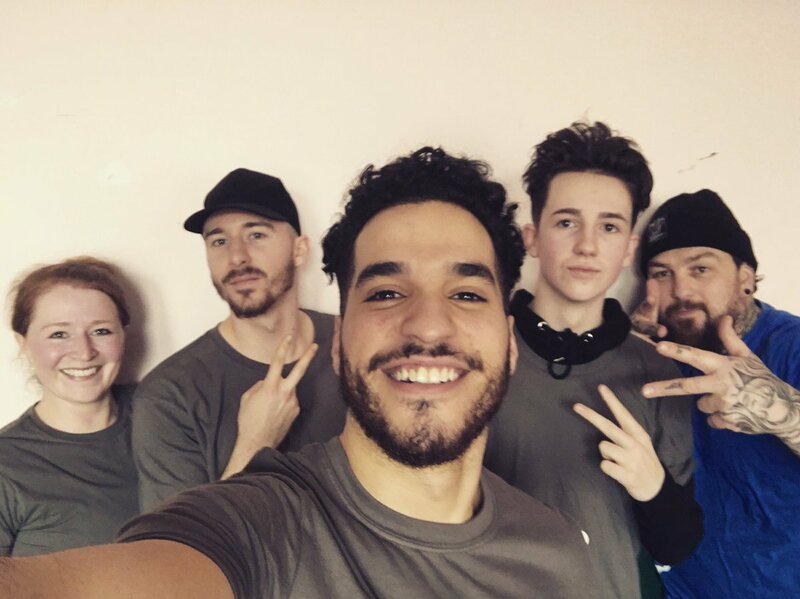 In dance, for example we have fantastic dance teachers and studios, but it would be amazing to have collaborative spaces such as Pineapple or Broadway Dance Studios in Wales, where the public can access dance and professionals can access the training needed 7 days a week and during the day time. It is important to create new training opportunities in Wales, so we can continue to learn and develop. I truly believe that Wales is an exciting country for the arts. There are so many cultural opportunities and emerging companies and individuals who are being shaped by established and experienced venues and organisations. There are networking opportunities, training performances and jobs it is evident that the people of Wales, want to make cultural experiences happen in a variety of places and in a variety of ways. 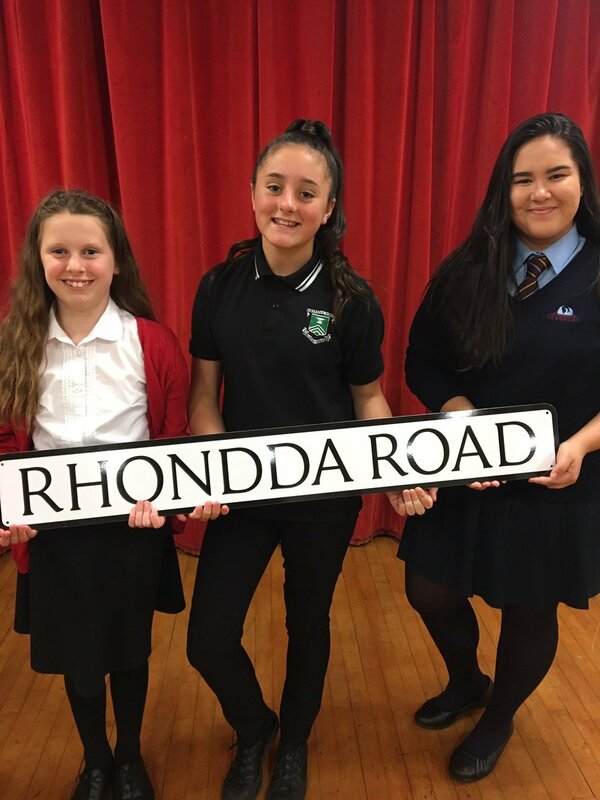 From engaging in local opportunities in the Rhondda, taking part in Age Cymru’s Gwanwyn Festival, being a Sherman 5 member at the Paul Hamlyn Funded project at Sherman Theatre and by being a TEAM panel member for National Theatre Wales. I have personally found that no matter who you are there is a cultural opportunity for you. It is hard to name one event because the variety of experiences is exciting. I know that I am looking forward to seeing ‘Hard As Nails’ at the Park and Dare and ‘Killology’ at the Sherman, I have my tickets booked for both! I am really proud to say that Avant are part of the Welsh art community, creating work in the Rhondda, with fantastic partners in RCT Theatres, at the Park and Dare and traveling to exciting venues such as the Sherman, the Willow Globe and Volcano later this year.